Yea, verily, he who combineth three in one, for surely he is sadist, as wont to inflict ill-written verse on the eyes and ears of innocent readers; and surely he is masochist, so much that he tortureth his mind night and day to invent audacious topics and flamboyant essays laden with well-turned phrases, even to the point of distraction; and forsooth, exhibitionist moreover, for who would inflict bombastic phrases and mediocre verse on any audience, save to appease his wanton vanity? Yea, that manner of man bloggeth. And such a man am I. But woe is not me. Happy I be! I never thought of myself as part of the food chain, but as I ponder the inevitability, I realize that to be an organism is to eat and to be eaten. The alternative to the former is pretty grim, just as the alternative to the latter is inevitable, whether I’m devoured by a wild Grizzly Bear in the wiles of Wyoming or by patient worms and microbes in Louisiana that will feast on my remains if I successfully avoid the wild animals who would dine on my bones. 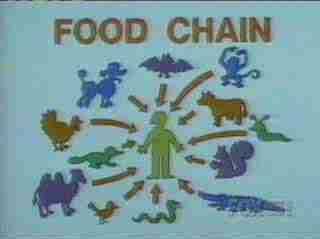 The natural order is God’s order, so let the food chain (and me) be! He would have said, “Israel, You can’t stay! 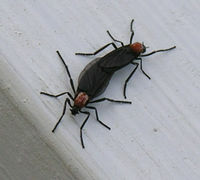 But I can’t figure out a lovebug’s way. What kind of lesson do they send? And some will be there next year still. When I step outside and they aren’t there. On the day my world is lovebug free. I am a fan of the 19th century poet Fanny Jane Crosby, maybe (hopefully) a kindred spirit. She was truly the poetess of Christendom for generations since she lived and wrote. I can never forget the words to this hymn sung congregationally by Ms. Elvie Jones and friends at New Zion Church, St. Tammany Parish, Louisiana, back in the late 1950’s when I was a little fellow. The familiar lyrics confronted me this evening, especially the opening verse, in a time and circumstance of life when God’s voice is especially precious. Rev. L. C. Smith preached the gospel in Cajun French. 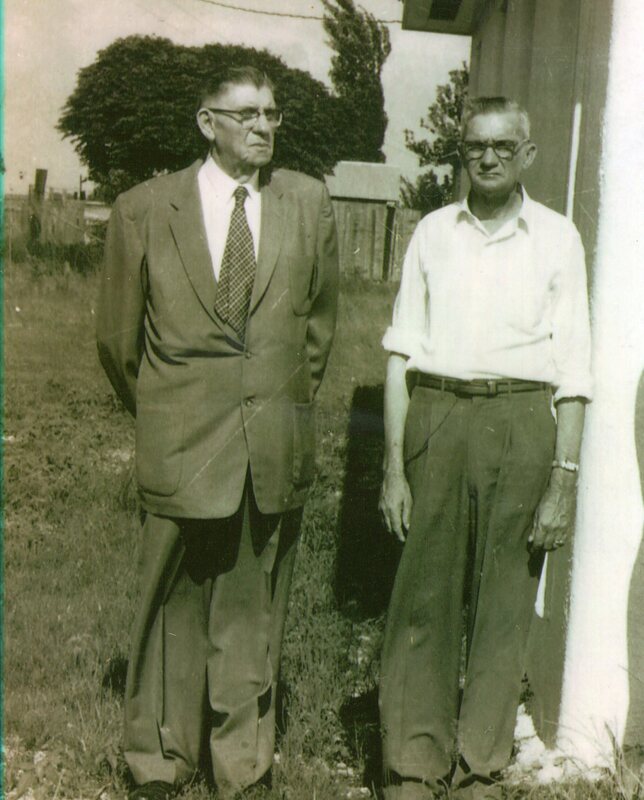 Behold in the photo here Reverend Lucien C. Smith (in suit), great-great uncle of my wife. Rev. Smith was a pioneer French-speaking Baptist preacher a couple of generations ago when evangelical Protestantism took root on the Prairie Cajun culture. Nonc L. C., as the family refers to him to this day, remains honored with a Louisiana Baptist missions offering named for him. I never met Nonc L. C.–he was deceased long before my time in Acadiana. But I’m grateful for his legacy, because otherwise, I never would have met my Cajun girl Sarah Ann at the Baptist Student Union at LSU Eunice on a star-crossed day in 1976. Le restant, c’est l’histoire. Que le bon dieu benisse le memoir de Nonc L. C. Smith! A few years ago, I blogged on the Louisiana Prairie Cajun Easter tradition of “pacquing” eggs. That post got quite a few hits as well as comments, so I assume this is a topic of interest. For that reason, I videoed my granddaughter this afternoon “pacquing” eggs with her Aunt Ann while her Mom and her grandparents, Honey and Grammy, looked on. I wanted to post this depiction of the Cajun folk tradition that I found so interesting when I married Cajun so many years ago and fell quite in love with the rich culture. Anyway, here’s Payton and friends. 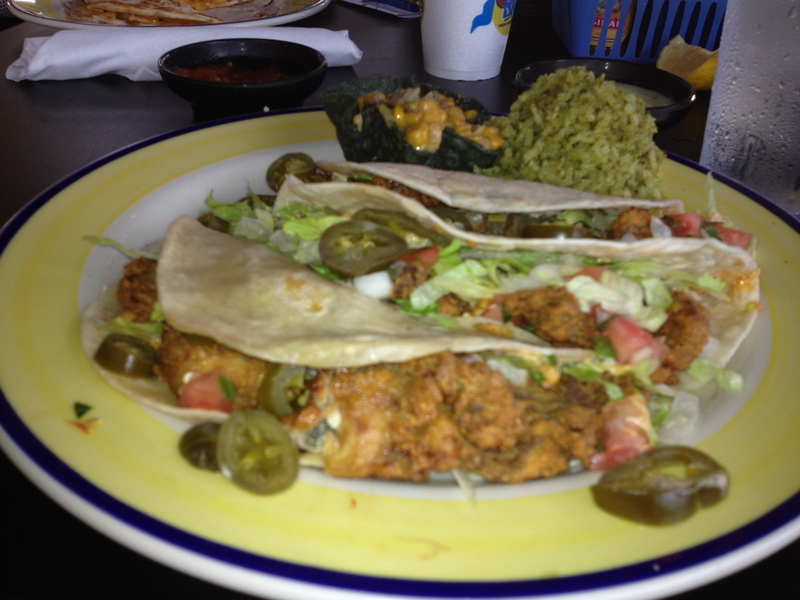 Oyster Tacos: Is this a Mexican dish? I don’t know if Coyote Blues is a national chain or not. All I know is when I visited the Mexican restaurant in Lafayette Tuesday night for my granddaughter’s birthday, I was hungry. So I studied the menu at length, not particularly excited at the conventional TexMex options I saw: quesadillas, fajitas, enchiladas, and so on. I wasn’t really excited about anything I saw. To date, I never heard of any taco other than chicken, ground beef, or fish, so this was a revelation. A fan of oyster po’ boys, I decided this was my lot, so I ordered up 3 of them. The result was gratifying. I don’t believe I’ll trade my partiality for traditional New Orleans French bread for the soft taco wrap at Coyote Blues, but the oysters were big and they were fried well. The Mexican dressing that attended the oysters was unique, as were the sliced jalopenos in lieu of Tabasco, so at the end of the day, I was filled and happy. But still, I am convinced: Po’ boys rule!